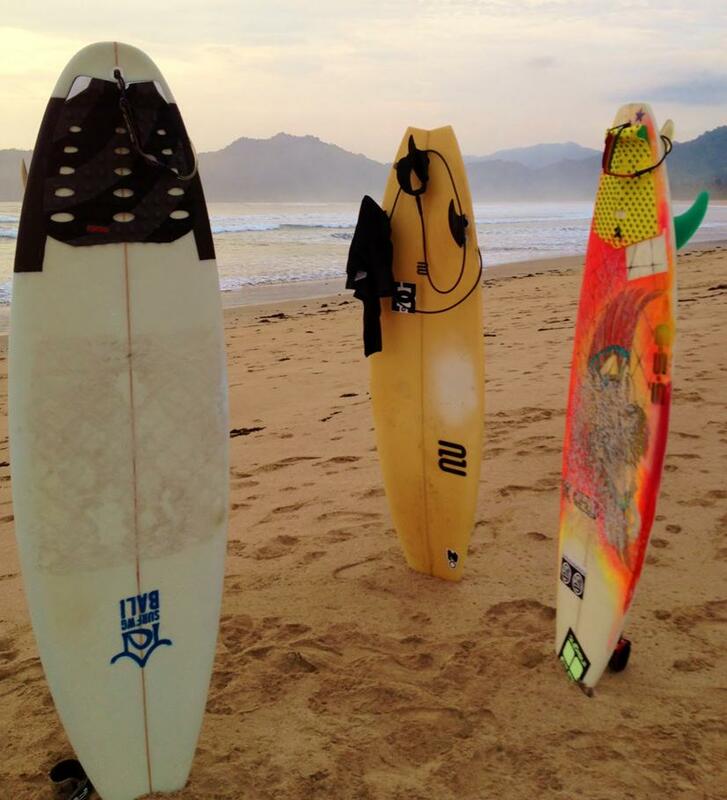 We have various surf boards in all kind of shapes available. If you don’t mind the haul, feel free to bring your own equipment or favourite board with you, so you can put them to the ultimate test here. Board shorts, booties, and wax can be had here at reasonable prices. Leashes are included in the rental, however, possible repairs of the board have to paid for. If you want to be on the safe side as far as ding repair is concerned, you can “insure” your rental board for € 30. That means that we will carry the costs for any repairs over a period of 1 – 3 weeks, whether it’s a tiny dent or a major break. Any damage will of course be immediately and professionally repaired. If the board or parts of it get lost – for instance gone forever sailing over the wide, wide sea – the costs have to be borne by the user. Total surf beginners can book our Learn-to-Surf Package which includes 3 days of intensive learning with beginner friendly soft-top surf boards. During this course you will learn everything from surf theory up to surfing your first green waves and is the perfect preparation in order to take part of the regular guided sessions. The camp cars with driver or guide can be booked on week-ends for a reasonable price. Those who love sets off on his own and is not afraid of the Balinese traffic can rent a scooter to get to the beach, the supermarket or for shopping trips to Kuta / Seminyak (international driving license required). The cost of living on Bali is extremely low. A healthy and filling meal (fish including a side dish) will cost around 2 €!! There are lots of local cuisine restaurants near the hotel. The obligatory evening beer on the beach is likely to be the most expensive thing on the menu of healthy indo food. Fruit salads or nasi or mie goring can be had for 1 € even on the most remote beaches. The night includes breakfast, either consisting of Mie/Nasi Goreng, pancakes with fresh fruits or toast with eggs. Each of those breakfasts comes with fresh fruit juice or fruit salad and tea or coffee. The small restaurant offers lunch and dinner with various European and Asian dishes. There is also a changing daily special available.